How do you create buzz for a sequel 21 years in the making? 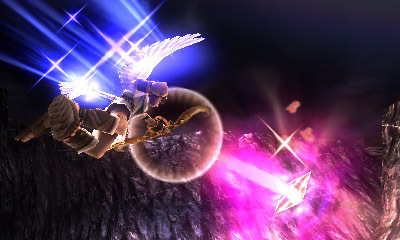 There's a good chance Kid Icarus: Uprising will crash and burn at retail, largely because it's the first sequel in 21 years. That means a whole generation of players have grown up with little idea who series hero Pit is, other than that winged guy in Super Smash Bros. Brawl. There's no escaping this guy. He's everywhere. To Nintendo's credit, the publisher has thus far done a stellar job creating buzz for this incredibly impressive title. Seriously, we lost track of how many trailers the company released, or tiny blurbs on all manner of things, from new info on weapons at a steady drip to grabbing headlines for bundling the game with a weird plastic stand, the better to rest a person's 3DS upon. And if that's not enough, you can even score a free code for 3D Classics: Kid Icarus if you pre-order Uprising through Amazon, Best Buy or GameStop. All this, and we officially have one month to go before the game's release, leaving us to wonder what the company has in store for its fans. Guys in togas and sandals walking around shopping malls? The official soundtrack? Five-thousand additional trailers and screenshots? 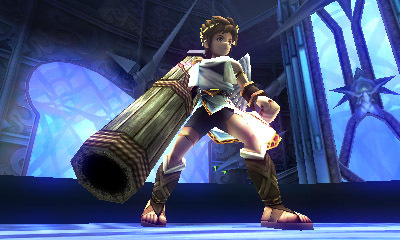 Of course, there's more to this than promoting the Kid Icarus IP. Masahiro Sakurai, the same developer behind the Super Smash Bros. series, designed the game. There's a certain high level of quality that comes with his titles, and Uprising appears to be no exception. If anything, it looks better each time we see it. If this game flops, we riot. Granted, Nintendo cannot force people to purchase the game. There's no guarantee it'll crack a million copies, though it's a safe bet it will, even if it takes all year. Regardless, it's great to see the big N aggressively promoting Kid Icarus: Uprising instead of assuming the IP can sell itself, a trap other publishers fall into. Personally, we feel this will be one of 3DS' greatest games of 2012, and perhaps all time. That alone should pique your interest. If not, don't worry. Nintendo probably has at least two additional trailers on the way.